Fourteen-year-old Ann worked incredibly hard during her primary school years, earning a top position in her class and extremely impressive grades that will grant her a spot at a great secondary school. Sadly, her dad succumbed to depression, and her mother has no source of income. Ann’s mother was forced to send her children away to be taken care of while she attended to their father. Ann and her siblings have lost touch as they separated and given to different relatives and children’s homes, where they could have access to basics such as food and education. Ann loves to read; she can always be seen reading a book, and she loves sharing what she’s read with her friends at the children’s home. Ann also enjoys music, especially English gospel music. She also likes English, saying that it is her favorite class and that she envies people who can speak fluent English. She hopes to one day perfect her spoken and written English, though she is already very good. She hopes to one day get a job in media as a journalist broadcasting English programs. Any time there is a new student at the center, Ann is always the first one to show them around and welcome them. She is very inquisitive about newcomers, and especially enjoys learning about different tribes’ traditions and ways of living. Ann is very smart, focused on her future, and destined for great things. 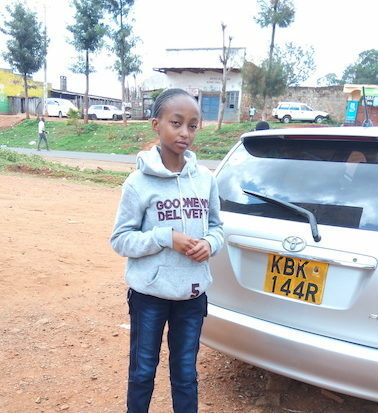 She is eligible to join secondary school next year, but needs financial help to pay for her school fees, personal utilities, and other school supplies. Help Ann live up to all her potential by sponsoring her today!